Whilst studying for his Medical Degree he concurrently gained a Masters Degree in Science (Univ. Melb.) and published research conducted at the Howard Florey Institute of Medicine. Dr. Hatzikostas initially trained in Internal Medicine for four years at The Royal Melbourne Hospital before commencing specialist training in Obstetrics and Gynaecology. After completing his training in Australia he achieved membership to the Royal Australian and New Zealand College of Obstetrics and Gynaecology (R.A.N.Z.C.O.G) in 1993. Dr. Hatzikostas initially travelled to England for overseas experience where he worked for three years gaining a wonderful exposure to fundamental Obstetric and Gynaecological training. 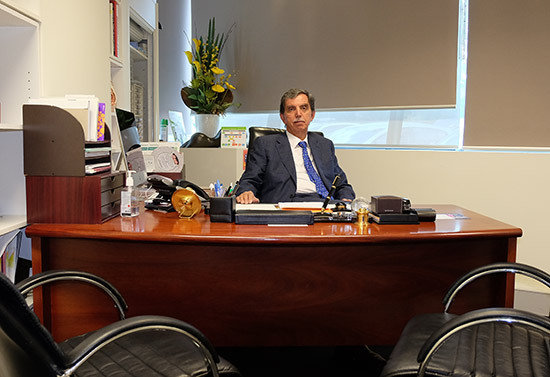 Upon returning to Australia Dr. Hatzikostas has worked as a Consultant Obstetrician at The Royal Women’s Hospital, The Northern Hospital and Box Hill Hospital for many years. He currently continues work at The Women’s Hospital and also maintains a connection with subspecialty staff at The Mercy Hospital for Women. With a background in Internal Medicine he practices evidence based medicine and has a commitment to the formal investigation and management of complex medical and obstetric problems. Dr. Hatzikostas has his rooms at Suite 3 The Plenty Rd. Consulting Suites located at Northpark Private Hospital. He devotes considerable time to his patients and aims to establish a high level of communication. He uses succinct diagrams to explain medical conditions and management. When appropriate he will issue brochures and algorithms of treatment plans. In all cases each patient has a comprehensive understanding of their medical condition, evidence based explanations of proper management and a risk / benefit analysis of alternative treatment options. All follow up care that may be required is also discussed. Quality of medical care depends on a strong understanding of internal medicine and a high quality of surgical skill. All patients are fully assessed and investigated. No stone is ever left unturned and every patient enquiry is addressed and answered fully. “All patients know exactly where they are and where they are going”. Dr. Hatzikostas recognises that patients have a right to make informed choices and also the importance of accommodating patients wishes and expectations whenever medically appropriate. Perinatal specialists at The Women’s and Mercy Hospitals. “No man can be the best at everything and no one can claim to be a Jack of all trades. High quality care evolves by combining the experience of subspecialists whenever the need arises”. Dr. Hatzikostas spends long hours at Northpark Private Hospital and believes in continuity of care by not sharing primary care in a group practice. Dr. Hatzikostas is on duty every day, at all hours and is available to call on any day to answer questions and address concerns. “Obstetrics is not a medical practice of convenience it is instead a way of life”.